Artificial intelligence methodologies and techniques give e-learning systems added computing capability, allowing them to exhibit more intelligent behaviour. On the other side, the convergence of artificial intelligence, data mining, machine learning, educational technology and web science is enabling the creation of a new generation of knowledge-based tutoring and e-learning systems. 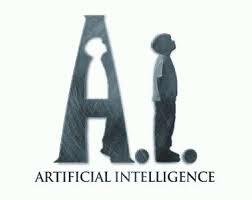 The objective of AIeLE’15 symposium is to bring together scientists engaged in Educational Technology, Computational Thinking, Web Technology, Knowledge Engineering and Artificial Intelligence. It will provide a forum for identifying important contributions and opportunities for recent research on the different intelligent methodologies and techniques for developing intelligent tutoring and e-Learning systems. We shall explore consumer electronics in the area computer hardware/software and apps i.e. laptops, tablet, mobile phones, GPS navigations, Google glasses, TV set, DVD player, smart kitchen, e.t.c. The Hardware that is mundane to consumers’- Smart cars - Blue motion engine! or low emission automobiles or green vehicle The automobiles of the feature in Britain, the government pilot scheme to testing driverless cars in the UK next year. Bristol, Greenwich in south east London and Coventry and Milton Keynes (illustrated) will all host autonomous driving projects that will run for between 18 and 36 months starting from January 2015 . What are the implications and downside of these modern devices to the consumers?